We have been fortunate to be able to keep the prices to a low rate for a very long period of time. 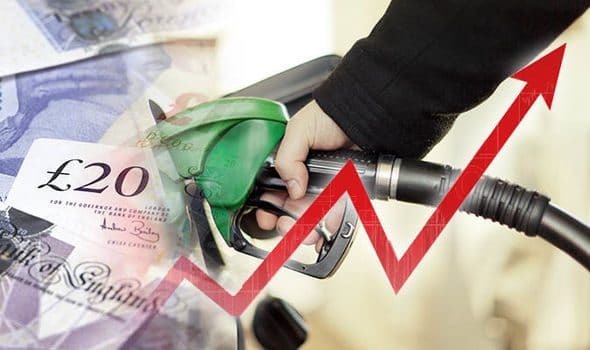 Do to a continuous fuel price increase, on the last 6 months the fuel price is up to 30%, and still rising. In order to provide the same outstanding service with high standards what you received, from 1st of December 2018 our prices will be increasing with a small percentage. Interested in full time or part time Pro Cars Taxi and private hire opportunities for Woking’s leading taxi company and airport taxi specialist? Then you might find this article useful whether you have been a Pro Cars Taxi or private hire driver previously or considering working as a taxi driver for the first time. Each month I write a blog article. So allow me to introduce myself. I am Gabriela Padureanu, owner of a PROCARSWOKING taxi company. The range of topics for my blog and making them relevant is challenging, however, I keep one thing in mind and that is to be useful to the local people of Woking and to be of interest to a wider audience. So this article is relevant to anyone in the taxi and private hire industry in the UK as well as locally to the Borough of Woking including St Johns of Knaphill. Indeed I have researched some facts and figures on the Pro Cars carriage and private hire industry in the UK commonly referred to as taxi’s and also I will discuss the relevant laws and how to become a taxi driver. In this article I interchange the term taxi and private hire, technically a taxi is not a private hire service. The difference is explained below. However, most people refer to calling and booking of a fare or car ride as ‘calling a taxi’, ‘calling a mini cab’ or ‘calling a cab’ rarely does anyone say ‘call a private hire vehicle’ or ‘call a Woking carriage’! If you like working with people, want a job where you’re out and about making good use of your driving skills, this career may suit you well. In this job you will need to be able to drive safely. You will also need good customer care skills and the ability to plan your time. Taxis are an important part of any town or city’s transport system. Taxis can be either a ‘black cab’ or a licensed saloon car. Both types have a licence plate and roof sign that states they are a taxi. Both may also be known as Woking carriages. The other type of passenger transport around town is a private hire vehicle that runs through an operator, in the case of ProCars Woking Company is an operator and its self-employed drivers are typically private hire drivers but some have their own Pro Cars Carriage licence also. Taxi drivers may be booked in advance, wait on an official taxi rank or pick up passengers while on the move. However, if you work as a private hire driver you would only collect passengers that have pre-booked. You cannot be flagged down in the street or take fares in a taxi rank. You could be combining normal ‘pick-up’ jobs with contract work such as local businesses and school runs. You might also make longer-distance trips such as taking people to airports, seaports or to and from the theatres. This job allows you the flexibility to choose your hours, with the busiest periods in the evenings and at weekends. Friday and Saturday evenings would normally be your busiest times. You could expect to work at least 40 hours a week if you make yourself available full-time and especially during busy periods. Earnings would depend on the level of fares, the number of journeys made, and the hours worked. Pro Cars Woking, it is an independently own company, trading proudly under Woking Borough Council. We have a small but yet effective fleet, with well-trained drivers who are dedicated to providing the best customer service, concentrating on quality over quantity and very often going the extra mile. Complete an application form and provide two passport-sized photographs. Produce a valid driving licence. Have been vetted by the police within the previous three years. Have been declared medically fit. A saloon, estate or hatchback type car with at least four doors and of sufficient seating capacity to carry not less than four and not more than eight passengers in addition to the driver. Any vehicle proposed to be licensed must have been examined mechanically and inspected in relation to the safety and comfort of drivers and passengers, at a garage on the approved list supplied by Woking Council, and a certificate of compliance issued. An insurance certificate which expressly indicates cover for hire or reward on pre-booked journeys. A vehicle registration document or proof of ownership of the vehicle, showing the current owners. Want to know more or apply? This article is just a guide and current information can be found on the local council’s website for where you wish to operate and where the operator is located. I would be happy to talk to anyone considering becoming a taxi driver and I am always looking for more enthusiastic male and female drivers to join the Pro Cars Woking team. Pro Cars Woking is a competitive car service. Our rates to airports and collection from airports and other transport hubs are extremely competitive to any other taxi or minicab company running similar services and Pro Cars Woking also includes free of charge hire of a child safety seat, for long journeys, for each child passenger under four years and under the height of 135 cm.